Tell me, how do you feel about kale? I love it! Our kale garden is growing wild. We have some everyday in our morning smoothies but it hardly puts a dent in the six plants that I bought! I was a little overzealous. So last night I made some kale chips to snack on after dinner. Because I like to eat all the time. I found a simple recipe here but I would tweak it just a bit. Heat the oven to 350 degrees. Tear apart the kale into medium sized pieces. Toss with olive oil, salt, and pepper. Cook for about 20 minutes but check them after 10 and toss. I let mine go for 25 because the recipe suggested 30 minutes but that was really too long. I would have preferred mine to be a little less done. 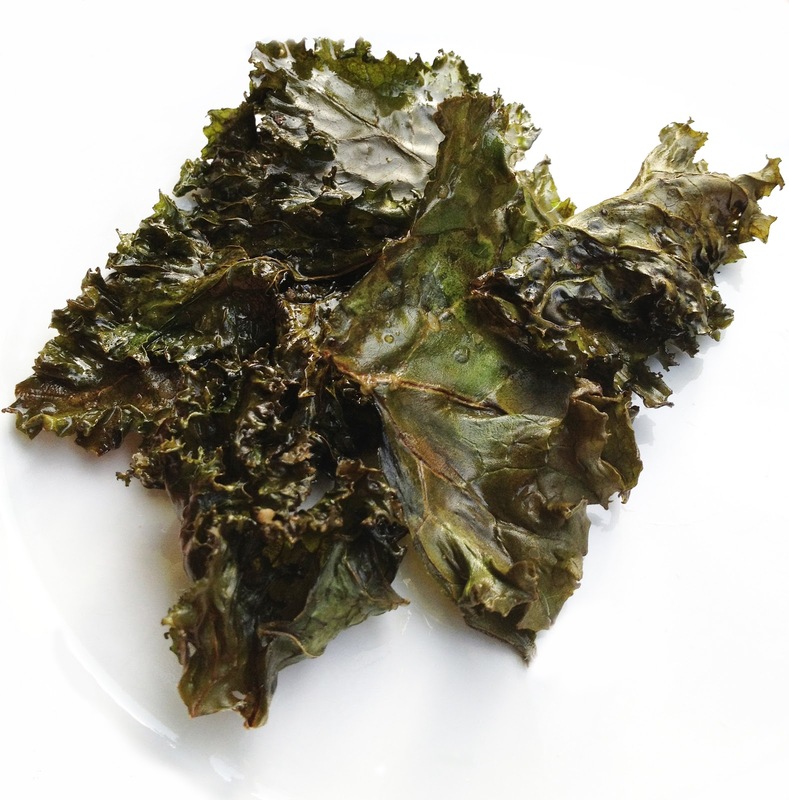 A cookie sheet of fresh kale bakes down quickly so don't be stingy with your leaves. Enjoy! Thanks for the recipe! I'm always looking for something new! I am always a fan of hearty greens in soups too but it's been SO hot!